Pour about a 1/2 an inch of room temperature water that is either "distilled" or, you can use "boiled water" that has been cooled... we use boiled water, why complicate things? If it is city tap water, put it through the "Brita" before boiling to reduce the fluoride, not good for seedlings. Then, select about 6 best looking seeds and place them in the water and use a chop stick to sink them. Make sure they are not sticking together. Label each jar, I use a label sticker cut in half and I press it to the jar so part of it sticks so I can easily remove them later. Put the Jars in a warm place on the counter out of direct light in a shadier place. 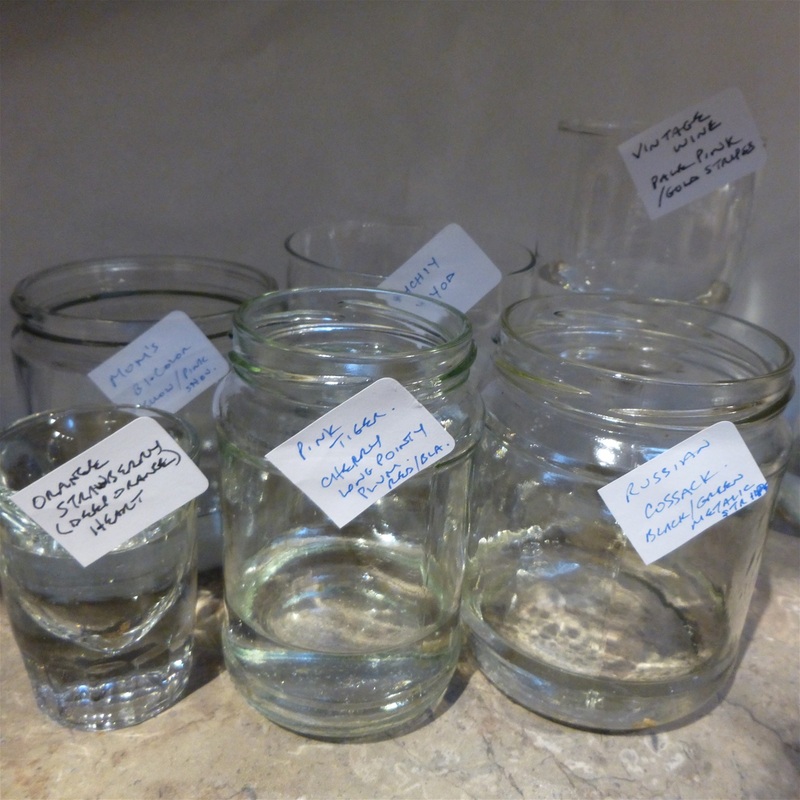 Look each day in each jar, to see if they have sprouted which can take anywhere from about 3-7 days, sometimes a little longer for the stubborn ones.